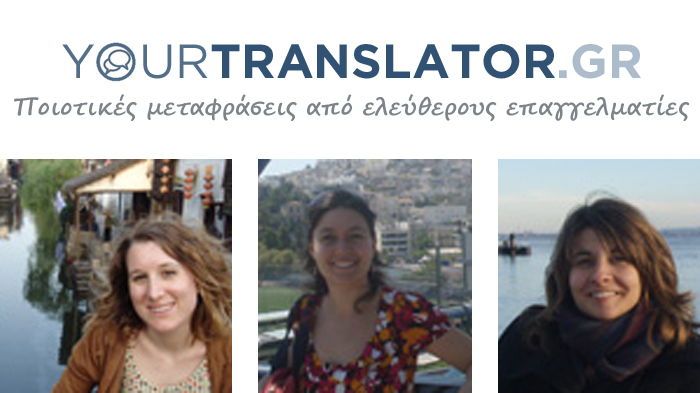 From July on, we will try to feature an interview with a translator or language specialist on our blog each month. This way you can get acquainted with successful professionals of the sector who share their secrets and ideas with us. Without further ado, we present to you the first interview of the month with Vassiliki Knitou, winner of the EKEMEL award 2011 for the best translation from Spanish into Greek of Pedro Mairal’s El año del desierto (The Year of the Desert). Β.Κ. : Προσωπικά ξεκίνησα κάπως ανορθόδοξα. Πρώτα ασχολήθηκα με τη συγγραφή και μετά την έκδοση του πρώτου μου μυθιστορήματος (Να φεύγει η σκόνη κι ο καιρός, εκδόσεις Ψυχογιός) αποφάσισα, γύρω στο 2000 να ασχοληθώ και με τη μετάφραση. Το πρώτο βιβλίο που μου εμπιστεύτηκαν ήταν της Σουσάνα Φόρτες και κυκλοφόρησε από τις εκδόσεις Κέδρος με τον τίτλο Σύνορα στην άμμο. Ακολούθησαν πολλά άλλα, μεταξύ των οποίων η βιογραφία του Τσε Γκεβάρα, γραμμένη από τον Πάκο Ιγνάσιο Τάιμπο, με τίτλο Ερνέστο Γκεβάρα, γνωστός και ως Τσε (επίσης από τον Κέδρο). Αναφέρω το συγκεκριμένο βιβλίο ξεχωριστά γιατί αποτέλεσε σταθμό στην πορεία μου ως μεταφράστριας – η όλη εμπειρία μού χάρισε πλούτο ασύγκριτο. Β.Κ. : Τα ισπανικά είναι μια γλώσσα με έντονο πάθος. Η λογοτεχνία είναι μία από τις τέχνες που μπορεί να εκφράσει κορυφαία πάθη. Ο συνδυασμός είναι εκρηκτικός. Ο μεταφραστής που προσπαθεί να μεταφέρει στη γλώσσα του το κείμενο ενός συγγραφέα δεν έχει να παλέψει τόσο με το νόημα -βασικές γνώσεις της γλώσσας-πηγής θα αρκούσαν γι’ αυτό- όσο με το ύφος, το συναίσθημα, το ρυθμό. Σ’ αυτό το πλαίσιο -πεδίο μάχης ενίοτε- θα πρέπει να δοκιμάσει και να δοκιμαστεί, αναζητώντας πάντα τον τρόπο να προδώσει όσο το δυνατόν λιγότερο το πρωτότυπο. Β.Κ. : Για να μπορέσει κάποιος να λειτουργήσει ως μεταφραστής θα πρέπει να έχει πρώτα «οπλιστεί» με γνώση: γνώση της ξένης γλώσσας και της κουλτούρας που εκπροσωπεί αλλά κυρίως γνώση της δικής του γλώσσας και του πολιτισμού. Γιατί σ’ αυτό το δεύτερο πεδίο θα κληθεί να αναζητήσει τα υλικά με τα οποία θα χτίσει ένα νέο κείμενο, κατά το δυνατόν πιστό στο πρωτότυπο. Αν κάποιος επιλέγει να μεταφράζει από τα ισπανικά θα πρέπει επίσης να έχει υπόψη του ότι θα χρειαστεί να προσεγγίσει πληθώρα από διαφορετικές κουλτούρες. Β.Κ. : Για το οικονομικό και εκδοτικό περιβάλλον μάλλον δεν μπορώ να πω και πολλά. Εκείνο που ξέρω με σιγουριά, όπως όλοι μας, είναι ότι αν έξαφνα σβήνονταν από προσώπου γης οι μεταφραστές λογοτεχνίας, τότε θα μέναμε όλοι φυλακισμένοι στα σύνορά μας διά βίου. Άπειρα σπουδαία έργα θα ήταν απρόσιτα για μας, όπως απρόσιτα θα ήταν και τα μεγάλα έργα των Ελλήνων συγγραφέων και ποιητών για τον υπόλοιπο κόσμο. Μεγάλη φτώχεια θα σήμαινε κάτι τέτοιο. Y: Tell us a little bit about yourself. How did you start writing and translating? V.K. : Well, unlike most translators, my first steps were into the world of literature. It was actually around 2000, after my first novel, Dusting time off, by Psichogios Publications, had been published, that I decided to engage myself in translation. The first book I was entrusted with was Susana Fortes’ Fronteras de Arena (Borders of Sand). The translation was published by Kedros Publishing house. From the books that followed, I would like to highlight Che Guevara’s biography by Paco Ignacio Taibo, entitled Ernesto Guevara, tambien conocido como el Che (Guevara, Also Known as Che) and published in Greek also by Kedros. The reason why this book is so special to me is because it has marked my career as a translator – nothing compares to the feeling of richness that this experience gave me. Y: What are the special characteristics of literary translation, and also of Spanish as a source language? V.K. : The Spanish language is full of passion. Literature is one of the arts that can express the greatest passion. So, it’s an explosive combination. The translator who attempts to render a writer’s text in his/her mother tongue will have to face many challenges, not just issues of meaning –easy to handle if you know the basics of the source language- but mainly difficulties regarding style, emotion and rhythm. The translator will have to work hard to come up with the language choices that come closest to the original, by experimenting and making best use of his/her skills, in a process that often feels like a battle. Y: So, what specific skills do you think the translator of literary texts should have? V.K. : To be able to work on such a text, the translator needs to have a good knowledge of both the foreign language and culture and, most importantly, the language and culture of his/her own country, because it is this type of knowledge that will help him/her create a new text, as true as possible to the original. When Spanish is the source language, one should also have in mind that this language represents many different cultures that he/she should be familiar with. Y: What is the position of literary translation in the publishing/translation industry, especially in the current economic environment? V.K. : I don’t have a lot to say about the economic environment and publishing industry. What I know for sure is that, if –out of the blue- translators disappeared off the face of the earth, we would have to live as captives, forever limited within our national borders. An infinite number of great works would be inaccessible to us, as would be important works by Greek writers and poets to the rest of the world. And that would bring about severe intellectual poverty. Y: Nos gustaría que nos cuente un poco sobre usted. ¿Cuáles fueron sus primeros pasos en la escritura y en la traducción? VK: Personalmente empecé un poco de manera no convencional. En primer lugar me ocupé de la escritura y después de la publicación de mi primer libro (Que se vaya el polvo y el tiempo, Ediciones Psichoyos) decidí, aproximadamente en el año 2000, dedicarme también a la traducción. El primer libro que traduje fue de Susana Fortes y publicado por la editorial Kedros titulado Fronteras en la arena. Siguieron otros libros, entre ellos la biografía de Che Guevara, escrita por Paco Ignacio Taibo, titulada Ernesto Guevara, también conocido como Che (también publicado por Kedros). Me refiero a este libro de forma separada, porque constituyó un hito en mi carrera como traductora – la experiencia completa me aportó una riqueza incomparable. Y: ¿Cuáles son las características específicas de la traducción literaria y de la lengua española como idioma de origen? VK: El español es un idioma de pasión intensa. La literatura es una de las artes que pueden expresar pasiones principales. La combinación es explosiva. El traductor que trata de transmitir en su propio idioma el texto de un autor, no debe luchar tanto con el significado – conocimientos elementales del idioma de origen serían suficientes para ese fin – como con el estilo, la emoción, el ritmo. En este contexto – campo de batalla a veces – tendrá que experimentar y ser probado, siempre manteniéndose en busca del modo de traicionar el texto original lo menos posible. Y: ¿Qué aptitudes y cualificaciones debe tener un traductor o una traductora de textos literarios? VK: Para que alguien pueda actuar como traductor, primero tendrá que estar armado con conocimiento: conocimiento de la lengua extranjera y de la cultura que ella representa, pero principalmente conocimiento de su propio idioma y de su propia civilización. Porque en este segundo sector se le pedirá que solicite los materiales con los que construirá un texto nuevo, lo más fielmente posible al original. Si alguien opta por traducir del español, también deberá tener en cuenta que tendrá que acercarse a multitud de diferentes culturas. Y: ¿Qué posición tiene la traducción literaria en el entorno económico, editorial y en el mundo de la traducción moderno? VK: Sobre el ambiente económico y el ambiente editorial, no creo que pueda decir mucho. Lo que sé seguro, al igual que todo el mundo, es que si de repente desaparecieran los traductores literarios, entonces estaríamos todos presos de por vida dentro de nuestras propias fronteras. Innumerables obras maestras serían inaccesibles para nosotros, tanto como serían inaccesibles las obras importantes de los autores y de los poetas griegos para el resto del mundo. Un hecho como este indicaría pobreza extrema. Η ιστορία μας ξεκίνησε το 2003 όταν συναντηθήκαμε στο Ιόνιο Πανεπιστήμιο για τις σπουδές μας: Μετάφραση και Διερμηνεία. Ακολουθήσαμε παράλληλους δρόμους μεταπτυχιακών (η Αλίκη Κινεζικά σε Σκωτία και Κίνα, η Μαρίνα Τουρκικά σε Τουρκία και Ολλανδία και η Ντίνα Διεθνείς και Ευρωπαϊκές Σπουδές στο Πανεπιστήμιο Πειραιά) και αφού αποκτήσαμε κάποια εργασιακή εμπειρία, αποφασίσαμε να κάνουμε κάτι δικό μας. Έτσι, γεννήθηκε το yourtranslator.gr, μια υπηρεσία μεταφράσεων αποκλειστικά σε ηλεκτρονική βάση, η οποία καλύπτει τις περισσότερες ευρωπαϊκές και ασιατικές γλώσσες. Επιθυμία μας, η απλοποίηση των διαδικασιών, η άμεση επικοινωνία με τον πελάτη, η υψηλή ποιότητα και εξοικονόμηση χρόνου και κόστους. Επιχειρηματικός μας στόχος; Η ενίσχυση των επιχειρήσεων που δραστηριοποιούνται στο εξωτερικό με την κατάργηση των γλωσσικών εμποδίων! And thus came up the idea of yourtranslator.gr, an exclusively online translation service, covering most European and Asian languages. We aim at simplifying the procedures, developing direct relations with customers and offering services of high quality, saving time and cost at the same time. Our business objective? The strengthening of companies operating abroad, by removing the existing language barriers! Read the complete interview in English and in Greek here. Thank you Growing!